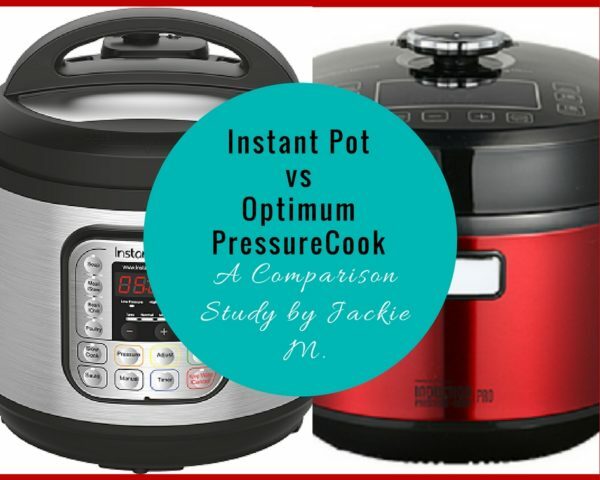 Instant Pot vs Optimum PressureCook – A Comparison Study by Jackie M.
If you’ve been following my Live Asian Kitchen on Twitch , you will have seen me use the Optimum PressureCook in many of my cooking sessions. Thanks to my familiarity with the unit, I was recently commissioned by Prestige Home Appliances, the company that distributes the Optimum range of appliances, to do a comparison study of the Optimum PressureCook and the Instant Pot. Note that I haven’t been paid to republish the information here (though clearly I advised them I’d be doing so); this is the same feedback I sent to Prestige Home Appliances. I’m sharing this in the hope that it helps with your buying decision. As a professional cook, I’ve used pressure cookers as part of my business for many years; they’re an efficient addition to any kitchen. The Instant Pot and the Optimum PressureCook represent a new generation of pressure cookers that take some of the guesswork out of their usage. No longer do you have to wait keep an eye on your kitchen timer or “count the whistles” (a technique my Indian crew member Amruta utilised) generated by the pressure valve or worry about exploding lids when using a traditional pressure cooker. The pre-programmed settings on these electric units are safe bets that your food will cook pretty much to perfection every time. A comparison of the food produced in both units provided no noticeable differences. This report focuses therefore on the features and ease-of-use aspects of these units. 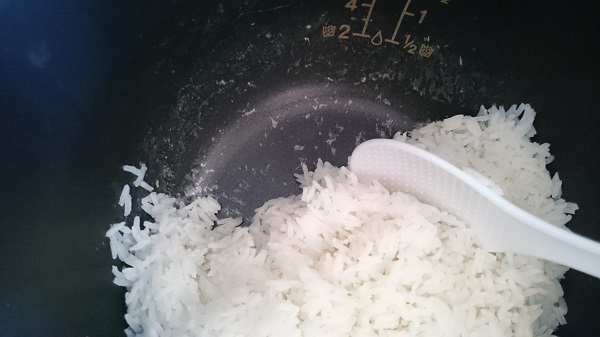 When used as rice cooker, the rice sticks to the base of the pot unless allowed to rest for about 15 minutes after completion of cooking cycle. Valve needs to be turned to “seal” position each time you use it for pressure cooking, or it won’t come up to pressure. 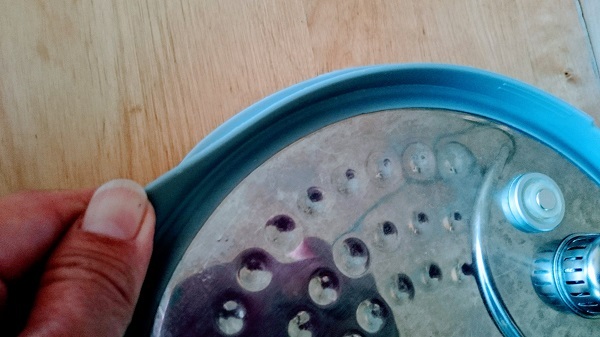 Pot remains pressurised at end of cooking cycle; you need to manually release the pressure using Quick Release (requires handling with oven mitt or wooden spoon) OR let it depressurise naturally (which will take 10-15 minutes or longer and can mean your food ends up overcooked). Unit begins cooking cycle automatically 10 seconds after selection, even if seal isn’t properly seated or if valve is not in “seal” position. Many complaints online about pot not coming up to pressure for a variety of reasons (eg. because user forgot to turn valve to “seal” position, or because seal was not seated properly in lid or lid was not pushed down enough to create a seal) and user not realising until halfway through the cooking process, hence needing to “babysit” the unit. Seal is fully adhered to the cover plate so 1) food can’t get trapped under it 2) there’s no risk of the seal being incorrectly seated. No food odour detected in the seal after multiple uses, unlike with the Instant Pot. Press-and-shut lid makes sure it’s failsafe as far as creating a proper seal. Having multiple pressure levels (seven, compared to the Instant Pot’s two) allows you to finetune your pressure settings for different cuts and types of meat. 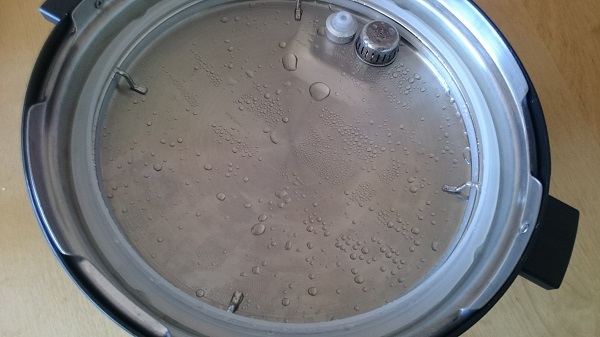 Steam Release button (press 3 seconds) allows you to release pressure in the middle of a preset programme, open the lid and add ingredients; once lid is closed again, it then automatically resumes the rest of the programme. Non-stick surface on inner pot. Cool-to-touch handles on inner pot allow easy removal and transference of pot immediately at end of cooking cycle. Also, entire unit is cool-to-touch during cooking process. 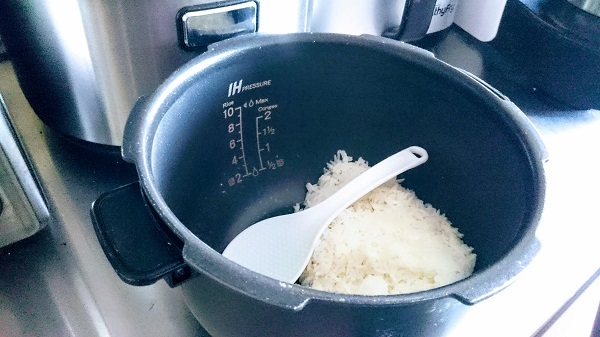 Inner pot has water level indicators for cooking rice and congee, to take guesswork out of how much water to use. Voice prompts provide guidance on cooking process and provide warning prior to releasing pressure, to prevent accidental scalding. Safer to use – pressure release is directional, measured and automated. Unit is fully de-pressurised at end of cooking cycle, ie. no need to manually release pressure. Induction technology means more efficient energy usage. Lacks a manual setting button that allows me to just set time/temperature/pressure. To change settings, I need to select a programme that allows time/temperature/pressure adjustments (as listed in user manual) and then make the changes as necessary. No dedicated button for each pre-programmed setting; requires toggling between the different programmes by pressing the Menu button repeatedly to get to desired selection. 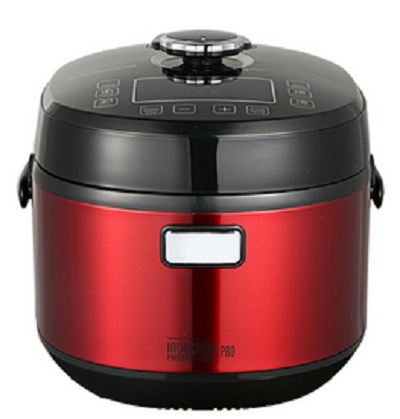 Cooking times specified for Instant Pot refer only to the time it’s under pressure; they do not include time to come up to pressure, nor time to de-pressurise. Cooking times for Optimum similarly do not include time to come up to pressure but they DO include de-pressurisation time. Eg. 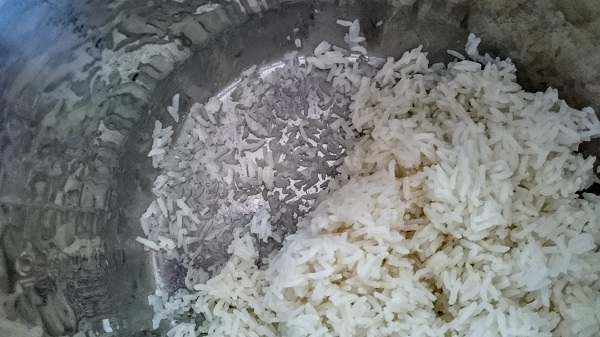 to cook the same amount of rice in each pot, the Instant Pot had the time automatically at 12 minutes; the Optimum had it at 18 minutes. At the end of 12 minutes the Instant Pot was still fully pressurised, and in fact it was still pressurised at the end of 18 minutes (ie. 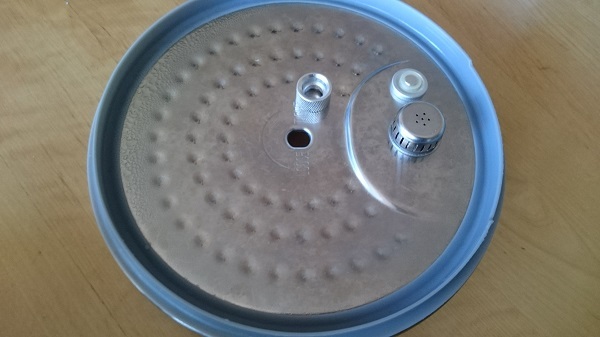 when the Optimum cooking cycle was completed) and required manual pressure release before lid could be opened. Comparison of the Instant Pot lid and the Optimum removable cover plate; special focus on the seals; with the Instant Pot the seal “floats” in the lid, making it susceptible to incorrect placement and potentially to dislodge when locking the lid in place. 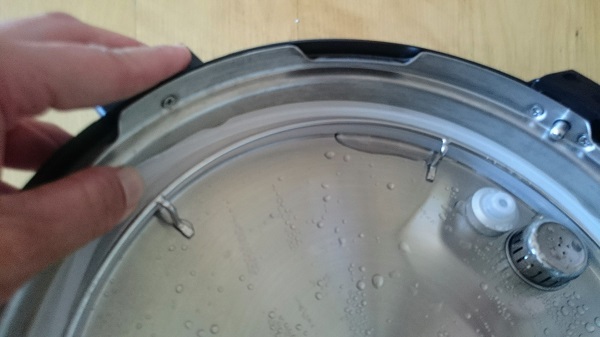 Close-up of the seals on the Instant Pot and the Optimum – there’s been complaints on Reddit discussion boards about food getting trapped in the Instant Pot seal because of the way it sits on the lid (where it’s draped around a wire ring), though I haven’t had that problem myself. If you’ve never owned an electric pressure cooker and you’re somewhat intimidated by a traditional, non-electric one, you will love the Instant Pot. Many reviews online rave about the fact that its inner pot is made of stainless steel, though you’ll know if you’re one of my Live Asian Kitchen regulars, that I’ve always been more of a non-stick cookware person. Its lower price point means I sometimes see larger families buy more than one unit for their kitchen. If like me, you graduated from a traditional pressure cooker directly to an Optimum, you will find that using an Instant Pot feels a little like a step backwards. I love the voice controls on the Optimum, and I love that unlike with the Instant Pot, I don’t have to remember to turn the valve to the sealing position, or grab a wooden spoon to fiddle with the valve to release the pressure, or worry about whether I’ve set the lid correctly and therefore whether my food will cook properly (this has happened twice Live on Air). I love that with the Optimum, when it says “cooking is done” I know that the food is ready, I can open the lid safely without first having to release the pressure manually, and that I can lift the inner pot onto the dining table directly without the need for oven mitts etc. 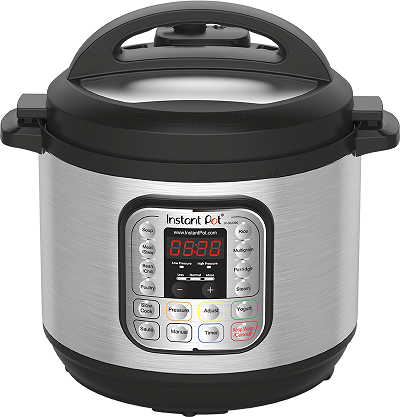 Both the Instant Pot and the Optimum PressureCook are great time and kitchen benchtop savers, irregardless of which unit you decide to go with. There’s no doubt however, that the Optimum PressureCook comes with a lot more features compared to the Instant Pot, making it much more accessible not just to the novice cook but also to someone like me, who cooks for a living. More information about the Optimum PressureCook can be found at www.prestigehomeappliances.com.au .